New Note: the Second SOL Regatta has been extended past June 23, so the Patchogue II release date has been pushed back as well. Please check back here for the updated release date. 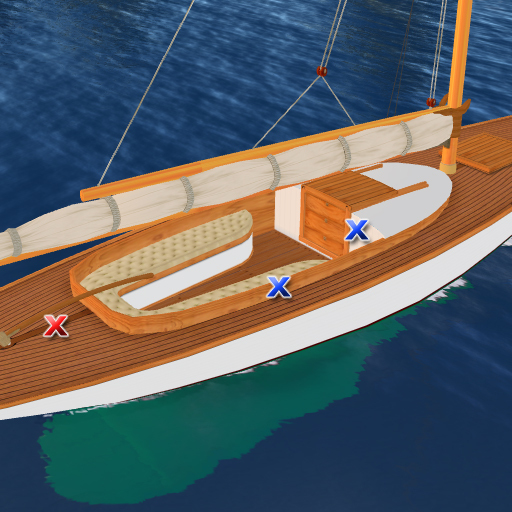 Very soon now…..
Trudeau Classic Sailing Yachts is transitioning to new building materials. Don’t worry traditionalists, it’s not and never will be fiberglass, carbon fiber, molded polystyrene, polyethylene or any other yucky petroleum based product. Mesh has taken over the SL grid and we have succumbed as well (yeah about time, Trudeau!). But boy are we glad we did in our all new Patchogue II, our “mostly mesh” rework of our popular original Patchogue catboat from 2009. Everything we said about the origins of that boat applies here, and doubly so. We took the body plan from Gil Smith’s masterpiece Lucille and molded our mesh hull to it’s stations and profile. The result was a RL lines-accurate SL boat hull, something not possible in prims or sculpts. Yay for mesh! Now Patch II, this lines-accurate model of the iconic Gilbert Smith design (and much more accurate than our previous Patchogue), has a very low profile. In fact, much of her cockpit is below the waterline. 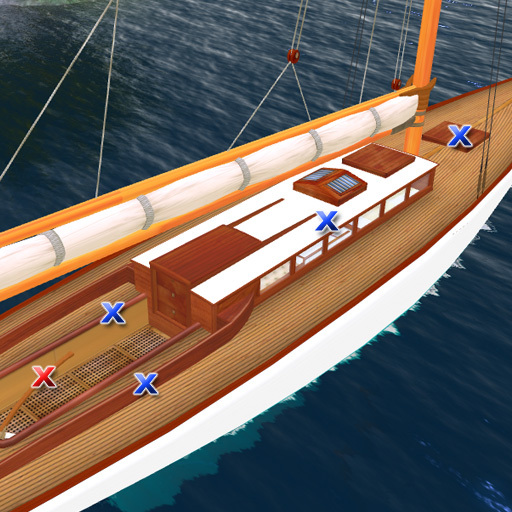 Since SL prims don’t (and likely never will) have water displacing properties, we used the old “masking” texture to keep most of the water from the cockpit when sailing relatively level. It works fairly well, but there are two drawbacks with this method. First, the masking texture also masks avatar parts (remember the invisiprims that came with your old prim shoes?) So any part of your AV, such as your legs, that dangle below the cockpit water mask will be cut off (yo ho, me hearties, get your peglegs!). We took this into account when developing all of the boat’s animations. Sigh. One step forwards (mesh), one step backwards (shadows). Why can’t we have it all? There are a bunch of features we’d found neither possible or practical on previous non-mesh boats such as the highly detailed rigging, sail furls on the boom when reefed and a working (woo-hoo!) mainsheet. Not for nothing is she a 50-some prim equivalent. Half a dozen built-in traditional color schemes. Earlier versions of this page had the release event scheduled for Sunday Nov 11, 1PM SLT. That is now incorrect. 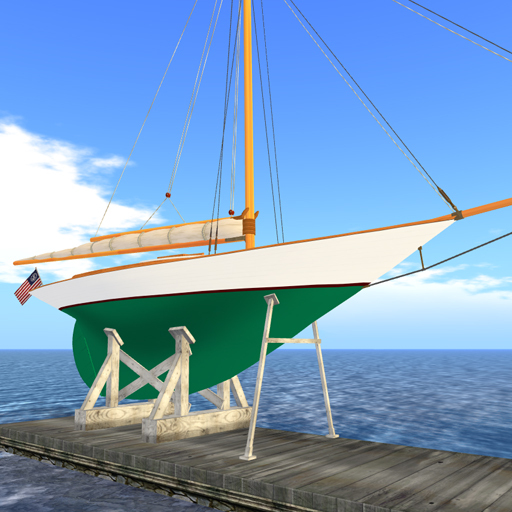 Hurricane Sandy knocked out the power at Trudeau Classic Sailing Yachts for a week, so we’ve rescheduled the event for Saturday, Nov 17, 1PM SLT at the Nantucket Yacht Club clubhouse. Sorry for any inconvenience caused – please do plan on attending! We’ve also changed the charity for the event to Hurricane Sandy relief oriented, the American Red Cross. 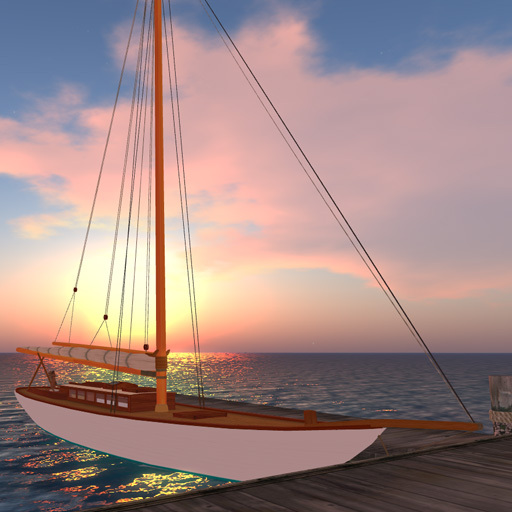 This last summer, sailors across the Second Life seas were both shocked and saddened upon learning of the passing of the beloved member of the SL Sailing community, Francois Jacques. Co-founder and Commodore of the Nantucket Yacht Club, United Sailing Sims principal, regatta organizer, advocate of sailing for the entire SL community in the Come Sail With Us centers, it’s no exaggeration in saying that sailing would not be the popular SL recreation it has become without Francois’ passion and dedication. Speaking personally, I was both lucky and blessed to have known Francois since 2005. She was an enthusiastic supporter of the Trudeau Classic Sailing Yachts before there was a Trudeau Classic Sailing Yachts. She happened to spy me test sailing the clump of prims that became our first boat, the Trudeau 32, and wanted to know if she could buy it. 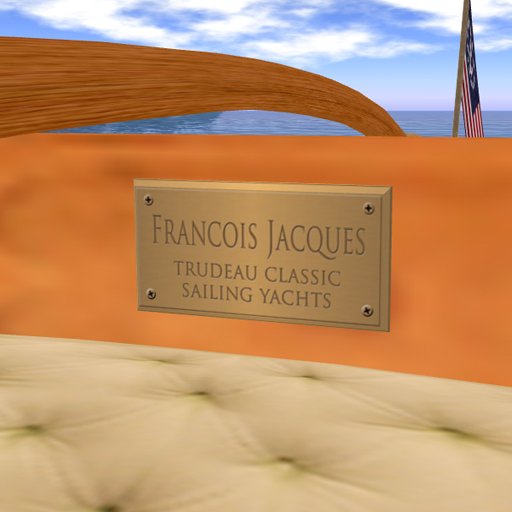 When it was available, she was Trudeau’s first customer and always among the very first to snap up each subsequent release, eponymously naming each boat “Francois Jacques” (I know because I made the name textures for her! 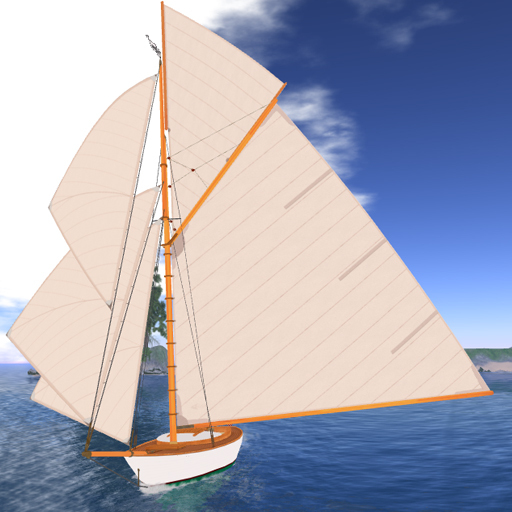 :) Later, Francois was a beta tester for Trudeau Classic Sailing Yachts, providing valuable feedback based on her vast experience in sailing the SL seas in all kinds and makes of boats. She was the one who suggested to us the boat that became the Trudeau One. I tried to explain to her that we didn’t take requests. She was persistent, and boy I am glad she was! In the same spirit of Francois’ named Trudeaus, we are christening this latest boat Francois Jacques in her memory. I showed her a very early (static, non-sailing) build of it and she liked it a lot. Francois, I hope the final version meets your approval as well. In addition to Francois’ work with the nuts and bolts of SL sailing, she was a tireless organizer of the Sail For Life/Relay For Life fundraising events. Not only did she arrange donations for many of the SFL silent auctions, as often as not she was high bidder herself! 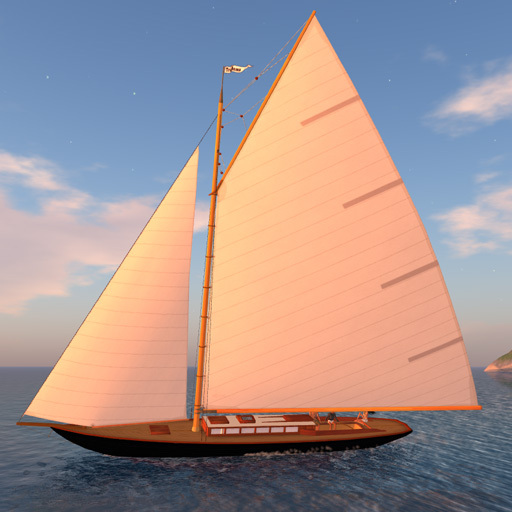 In that spirit, Trudeau Classic Sailing Yachts, in conjunction with Nantucket Yacht Club, will release the Francois Jacques in a special fundraising event, Saturday, Nov 17, 1PM SLT at the Nantucket Yacht Club clubhouse. A portion of the proceeds from every Francois Jacques purchased at the event will benefit the American Red Cross in their Hurricane Sandy relief effort.. There will also be a silent auction for a one-of-a-kind personalized custom build, Francois Jacques hull #1, 100% of that proceed to benefit the American Red Cross. Plan now to attend and buy for yourself, buy for your friends at this worthwhile event. Now a little about the boat. The Trudeau Francois Jacques lines and sailplan (5 sails – main, jib, staysail, gaff and jib topsails) are based on the NG Herreshoff revolutionary design from 1891, “Gloriana”. Gloriana is really the boat that got captain Nat on the map, her design with the long overhangs and cutaway forefoot took such advantage of the waterline length and sail area rating rules of the day, it allowed her to destroy every other boat in her class in the only season she raced. Her owner retired her after 8 races (all 8 wins) in a show of good sportsmanship. Needless to say, she was hugely influential in subsequent racing designs of the era, including the Herreshoff America’s Cup Champions Vigilant (1893), Defender (1895), Columbia (1899 & 1901), Reliance (1903) and Resolute (1920). Our version of Gloriana, the Francois Jacques, is scaled down from that 70ft LOA Herreshoff racer. Francois Jacques has a spacious cockpit outfitted in comfortable Victorian era tufted cushions. She also has a cozy cuddy cabin that sleeps two, making her ideal for cruising as well as racing. She carries a skipper and up to 2 additional crew/passengers. The crew sits (coaming, aft cabin wall) have a menu (similar to our NY30) for crew / cabin locations, with 3 crew heel offsets and animations per side. Touch the sat-upon prim to redisplay the animation menu. Selecting the “crew” option choice gives the crewperson the opportunity to help trim the boat for maximum performance in the usual Trudeau fashion, shifting their location from port to starboard (3 increments per side) using the keyboard L-R arrows. All 5 sails, fantastically sculpted by the talented Bunnie Mills, feature the Trudeau “tru-sail” luffing animations. You can deploy and stow the topsails as reefing measures and wing out the headsails for extra downwind running oomph. 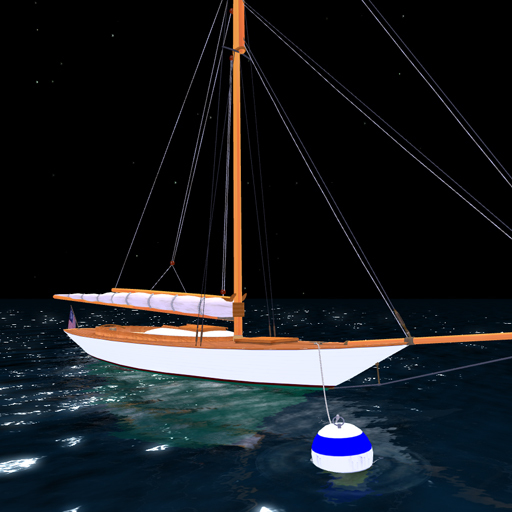 The Trudeau Francois Jacques has the built-in mooring buoy, cradle when autorezzed over the hard, half-hull display model for your SL home. A box of international yachting flags to update your ensign is also included. While constructed of sculpted and regular prims (not mesh), she uses the new SL object weighting model. Land impact – 53 prims. 65.25ft (19.9m) LOA, 34.75ft (10.6m) LWL, 10.9ft (3.34m) beam, 8.73ft (2.66m) draft. New York, New York … A Helluva Boat! 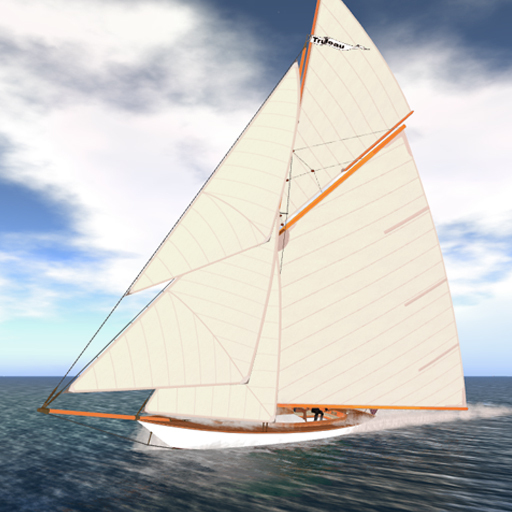 If there’s anything predictable about Second Life, it’s inventory loss, sim crossing horrors, lifetime commitments lasting all of a week… and another Herreshoff-designed yacht from the Trudeau Classic Sailing Yachts boatyards. 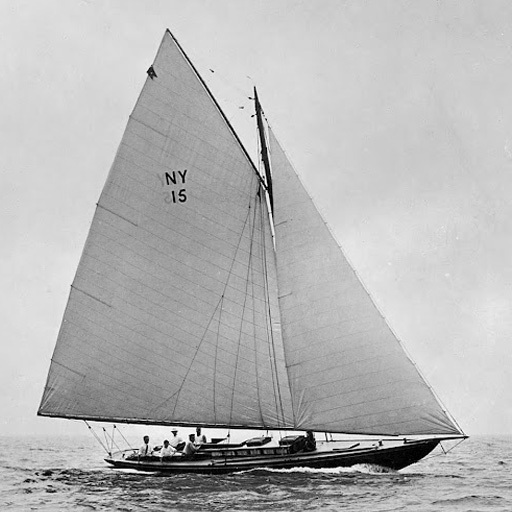 Legendary yacht designer N. G. Herreshoff (Captain Nat), when he wasn’t building America’s Cup winners, designed several club boats over the years for the well-heeled members of the New York Yacht Club – models 30, 40, 55 and 70 feet on the waterline. This time we’ve set our sights back to 1905 and the New York 30, definitely the most beloved and well-preserved of these one design-classes. For the sum of $4,000 (close to $100,000 today), the NYYC member who bought the boat received a vessel that was ready to race and cruise, delivered complete – from sails to awnings to a sounding lead, two anchors, and full set of china for the cupboards. Though many of the NY30s were used for cruising, with their speed, weatherliness, and ability to carry sail, the NY 30s had the sleek lines and overhangs of a racing yacht whose purpose is to go fast–and fast they did go. They were usually raced with a paid crew, two of a five man complement. In addition to the their paid salary, the paid crew shared in the prize money – one dollar for a start, four dollars for a first place finish, three for second and two dollars for a third. Those gilded age tycoons – a generous lot, no?!? ;) OK, that four dollars is about a hundred bucks today (and no income tax), but still – we are talking the JP Morgans of the world, the original .01 per-centers. 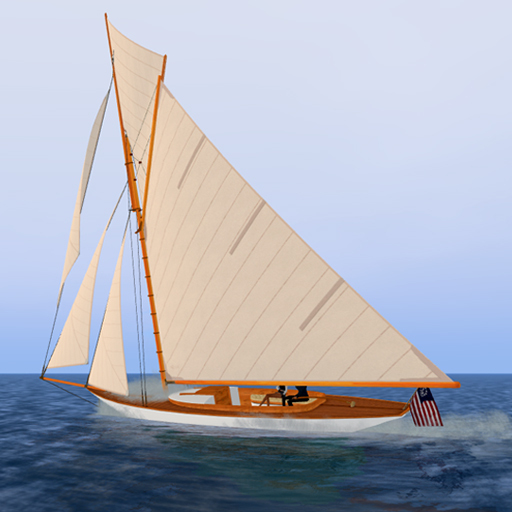 The Herreshoff NY 30 was one of the most cherished designs of the Golden Era of Yachting. Today the 30s still exist as a one-design racing class .Of the original 18, 11 are either still being sailed today or awaiting restoration. Amazing for a wooden boat over 100 years old. And please check out the class site at www.ny30.org for more info and history. Customers have asked for a version of our popular Knockabout gaffer sloop (with a cabin and vee-berth that sleeps two), but somewhat larger. Well, here she is! The NY30 is the largest Trudeau non-attachable with a full cabin (she sleeps 4!) and we’ve emphasized that feature with easy access to a plethora of animation selections. In addition to the skipper (sit location, the usual – tiller. Or anywhere on the deck or hull), there are 4 crew/passenger locations – the cockpit coamings, the cockpit tub edge, the cabin house top, the forward deck hatch. The sitter is presented a menu of redirected sit locations/animations. The cabin, outfitted in Edwardian period-correct raised panel joinery and tufted upholstery, is the place for relaxing after a day of sailing or upkeep for owner and crew alike (just remember, two is company, three is… well, there’s room for three… and four, too!). The cabin windows are scripted to alternate between glass and curtains for “privacy”. The Trudeau New York 30 has built-in mooring buoy (yes, those are half-hitch knots making fast the lines ;), cradle autorezzed over the hard, half-hull display model for your SL home. The New York 30 is available for your inspection at all-new Trudeau boatyard (use the SURL below). New York Yacht Club membership not included – who needs it! Special thanks, as always, to Bunnie Mills for her exquisite modeling work and help in making this boat a virtual reality!